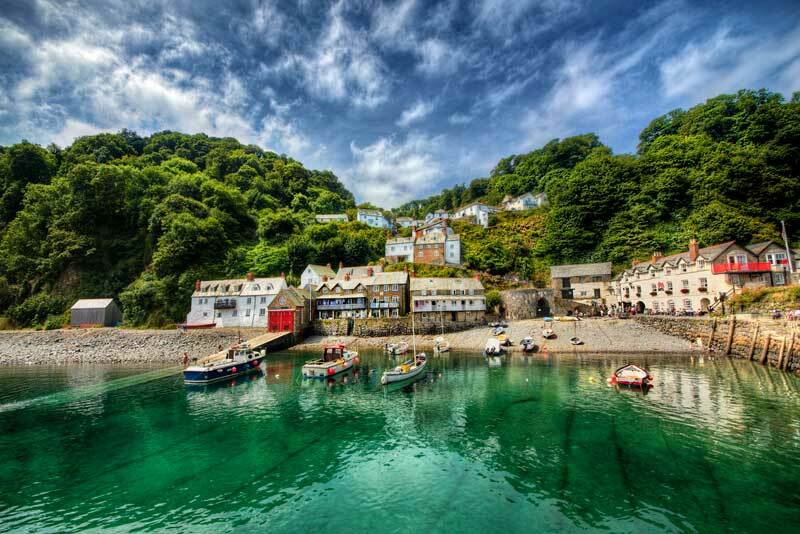 We’ve got significant experience of working with listed buildings on private estates, as we are in the middle of insulating the entire village of Clovelly on the North Devon coast. The honorable John Rous, owner of the Clovelly Estate, commissioned a number of test properties before proceeding with the insulation of the entire village of 114 homes. His objectives were to improve warmth and comfort for tenants, to reduce heating bills and raise the Energy Performance Certificate (EPC) ratings to E or above. Due to the heritage of the village we chose to start with measures that least affected the historic fabric of the buildings. We focused initially on those that attract the highest level of grants under the ECO scheme, which were sloping ceiling insulation and loft installation. In the first phase we completed 50 properties with these two measures, complemented by draught proofing. In phase two we added an advanced secondary glazing system. Loft insulation is relatively straightforward, but key concerns are avoiding burst pipes and condensation. 100mm or less of insulation allows warmth up from the house which stops pipes bursting, so when this is topped up to 300mm, loft temperatures can drop significantly. Therefore all pipes must be meticulously lagged, ensuring every single inch is covered and all joints must be taped. Many bedrooms in the village have either a small area of flat ceiling above the middle of the room and sloping ceilings going down from there to a low solid wall, or vaulted ceilings. The slopes have no more than a sheet of plasterboard between the room and the space between the rafters through which external temperature air flows up to the loft to keep the rafters and beams in good condition. Plasterboard offers almost no insulation so the sloping ceilings lose a lot of heat. We decided that the best insulating technique for Clovelly was to screw 75mm PIR board onto the room side of the sloping ceilings followed by plasterboard, and then re-plaster and paint. Thinner boards were used above stairways and other places where reduced headroom was unacceptable, and dormer window sides were done with 30mm thermal laminate boarding (PIR board pre-glued to plasterboard). While this technique is labour-intensive and costly, the heat savings are massive. Around thirty per cent of heat loss in old properties is through draughts, so draught proofing is essential. However, old buildings need ventilation to avoid damp. The traditional Clovelly window design is unusual in having a removable bead that the hinged casements close against, just like a door stop. In properties with normal window frames and no stop bead, we took out the casements and routed in a plastic pile-carrier on all four sides of the casement, into which an appropriately-sized concealed brush can be inserted. To reach E rating (39 points) some properties also require measures such as floor insulation above cellars, tank lagging where not already installed, blocking up unused fireplaces and a small amount of external wall insulation. Interestingly, one of the easiest and possibly most appropriate ways to reach E rating in some of the hard-to-treat properties is to change the heating system from coal fired stoves and ranges to a new electric storage radiator design. The programme to insulate Clovelly is in its second year and will take another three years to complete but positive reports from residents are starting to spread. After the first winter some residents reported that the sloping ceiling insulation had completely changed their experience of living in the house. One tenant, Lisa Pritchard, who lives in a four-bedroom house, had all four types of insulation installed over a year ago. She reported this spring that her fuel bills had dropped by 50 per cent, from £2,400 per year to £1,200. The project to insulate Clovelly sets a precedent in the retrofitting world, proving that the most elegant, historic homes can be sympathetically brought up to modern standards of insulation. If you’d like to talk to us about your properties and what we can do to make them more thermally efficient, don’t hesitate to contact us so that we can make an appointment to come and see you and discuss your needs in detail.